On a rather cold and dreary day (yesterday, in fact!) a friend and I went to the New York Sheep and Wool Festival in Rhinebeck, New York. For almost five hours we walked around booth after booth after booth, barn after barn after barn, just everywhere natural fibers and all the tools of the trade to weave, knit, crochet—basically anything you’d need to make fiber arts by hand. One of the many stars of the festival. There were sheep of all imaginable kinds, angora rabbits, goats, alpacas and llamas. 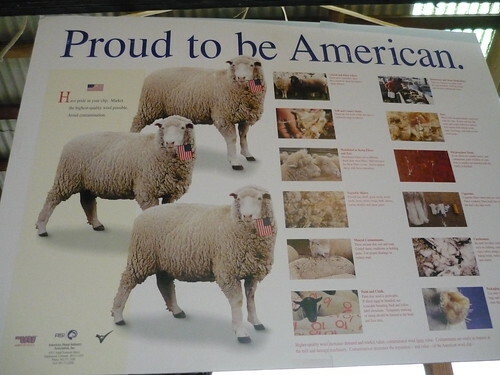 Not just for display, either–many of these animals were for sale, of course, in case you want to build out your herd! An award-winning alpaca. She looks rather happy with herself, doesn’t she? Some of the freshly-shorn sheep got jackets to protect them from the cold! A bag of raw wool, ready to be picked, carded and then spun into yarn. I love how it feels and smells! 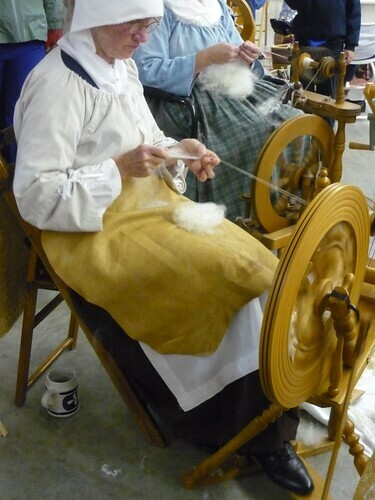 There were countless spinning demonstrations around the festival. From modern spinning techniques to older techniques (complete with spinners in historical garb), it was very tempting to pick up a spinning wheel and give this a try for myself. But then I realized that it takes me forever just to knit a project, so I’d really better stick to what I’ve got going and not take on any more hobbies! … but when you see the beauty of spinning wheels like this one, it is sooooooo tempting! 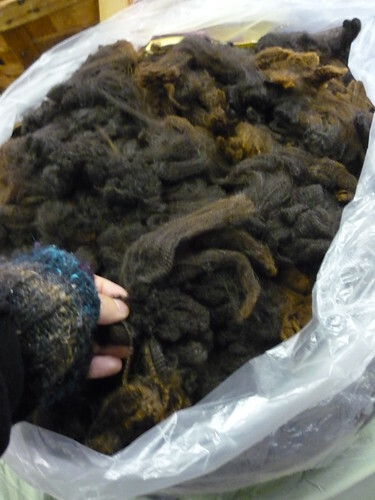 So much raw fiber ready to be spun… any cat would have a field day with these. It’s definitely an estrogen-fest—very few men to be seen here, except the ones sitting by a corner, looking bored, those poor guys!—and it’s a great time to shamelessly indulge your more domestic side. 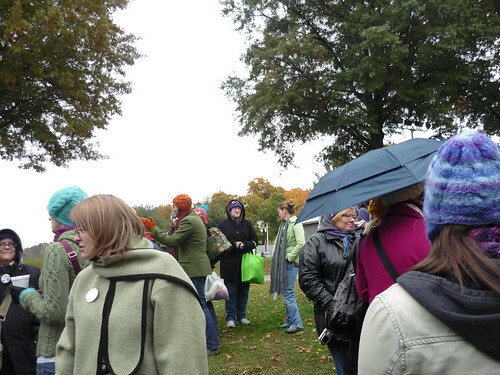 The Sheep and Wool Festival is also a popular destination for Ravelers (ravelry.com members). There was a big Ravelry party on Saturday that I missed, unfortunately, but I did get to go to the meetup on Sunday and meet some fellow members. Many were wearing their best knitted finery. It was nice to meet everyone!